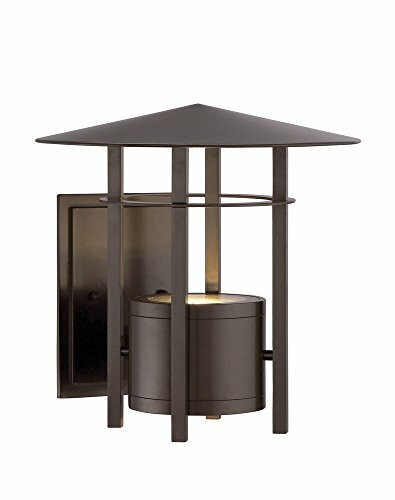 Designers Fountain LED34031-BNB Englewood - 9" 10.1W 1 LED Outdoor Wall Lantern, Burnished Bronze Finish | Fountain City Art Ctr. Color Temperature: 3000 / Lumens: 536 / CRI: 70 / Warranty: 3 Years. Back Plate Width: 3.50" - Back Plate Length: 5.25"